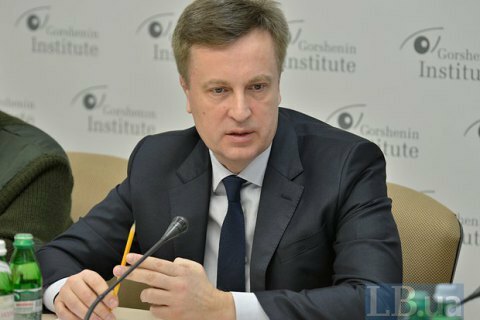 Kyiv court ordered the Prosecutor-General's Office to accept Nalyvaychenko's motion. Kyiv's Pechersk District Court ordered the Prosecutor-General's Office to register the statement by the former chairman of the SBU Valentyn Nalyvaychenko implicating Ihor Kononenko. A close ally of Presdent Poroshenko, of money laundering through offshore companies. "In spite of the inaction and delays of Ukrainian Themis, our team has achieved a court decision that ordered the Prosecutor-General's Office to launch an investigation into the involvement of high-ranking government officials into business activities, including through the use of offshore companies," Nalyvaychenko said in his facebook. "For almost a year, PGO avoided to take a legal action to verify the facts that have been brought to its attention, without filing in the data in the Unified Register of Pre-trial Investigations. Now, after to the court's decision, the PGO is obliged to register my statement with the Unified Register, and file in the information about the criminal offense." The former SBU head was referring to the offshore company Intraco Management Ltd from the British Virgin Islands, and the associated companies Kitromi Limited and Vincenz Limited Cyprus. Earlier, the media circulated the information that Intraco has paid for the education of Ihor Kononenko daughter abroad, and Petro Poroshenko's charters flights after the latter was elected president. The company was alleged to have bought fuel in the autumn of 2014 from a subsidiary of the Russian Gazprom.